Mt. Tabayoc is a mountain located in barangay Ballay in the town of Kabayan in the province of Benguet. It’s the second highest mountain in Luzon and the fifth highest mountain in the Philippines. It’s a popular destination for hikers, mountaineers, and adventurers. The mountain is very near other natural attractions in Kabayan such as the four Mystical Lakes (Tabeyo, Latep-Ngapos, Incolos, Ambulalakao), Mt. Timbak, Tinongshol Burial Caves (sometimes spelled as Tinongchol), and the Opdas Burial Cave. Mt. 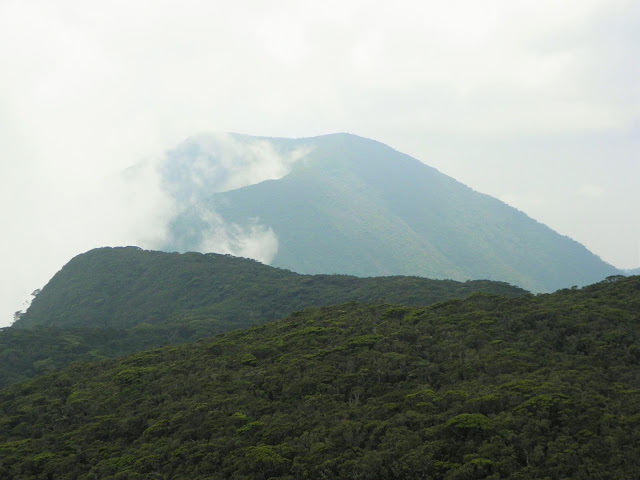 Tabayoc is mostly covered by a thick mossy forest from the base to the summit. Unlike other high-altitude mountain peaks in Benguet wherein the summits are barren and grassy, the summit of Mt. Tabayoc is thickly forested. The vegetation is so thick it’s easy to get lost if you don’t have a trained guide with you. There’s only one trail to the summit which starts from Lake Tabeyo in Ballay which is also the jump-off point for trekkers. Mt. Tabayoc has two peaks. You know you’ve reached the first peak when the trail momentarily slopes down then goes up again. An artificial view deck has been built on the second peak to allow trekkers to view the surrounding mountains and the hills and valleys below. There are two main routes on how to reach Ballay, Kabayan where Mt. Tabayoc is located. You can either pass through Bokod or through Halsema Highway via Atok. The only public transportation going to Ballay, Kabayan from Baguio City is via bus. The bus station is located at the Dangwa Station behind the Baguio Center Mall. The bus leaves at 10:00 am. The commute from Baguio City to Ballay, Kabayan can take between three to five hours. Where the bus stops in Ballay, you still have to hike to Lake Tabeyo where the ranger station is located. This is where you register as a hiker and pay for the corresponding fees. How Long is the Hike Up Mt. Tabayoc? It can take 1 to 5 hours depending on your pace. Advanced and experienced trekkers can easily reach the summit in under an hour. The trail isn’t that long but it’s more difficult to climb because of its steep incline and the fact that you have to go through thick vegetation entangled with tree trunks, roots, and vines. The trek up can be arduous. That said, hikers are advised to bring ample amounts of water and trail snacks. There are no water sources on the mountain. So every person should bring at least a liter of water with him/her. Is Camping Allowed in Mt. Tabayoc? No. The Department of Environment and Natural Resources prohibits camping on the mountain. The only designated camping site is the shores of Lake Tabeyo which is located at the base of the mountain. Mt. Tabayoc is still part of the protected Pulag Forest Reservation. People are only allowed to camp and build fires on designated areas. Are there inns, hotels, lodges, or transient homes in Mt. Tabayoc? Two lodges are currently being built just several meters away from Lake Tabeyo. Once finished, the buildings can accommodate dozens of people in a single night.